What’s new: Half the team. Johnson assumes the sole veteran role as newcomers Byron and Bowman join the four-car team. Twenty-two-year-old Elliott moves to No. 9 from No. 24 and Byron slides into the No. 24. Bowman takes over driving the No. 88 for Dale Earnhardt Jr.
What to watch: Chase Elliott showed he is the presumptive heir to the Most Popular Driver throne, and that he can do it with the feisty chip on his shoulder he showed in his Martinsville battle with Denny Hamlin. How far can the lineage, potential and talent take him in what should be his breakthrough season? Key question(s): There are a lot of them: This season has to be the one where Chase Elliott earns his first Monster Energy NASCAR Cup Series victory, right? 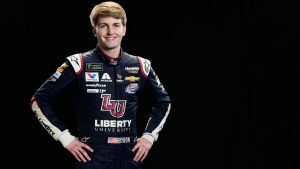 Can William Byron continue his upward trajectory at the sport’s highest level? 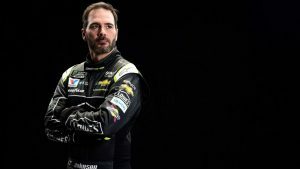 Will Jimmie Johnson adjust after a frustrating 2017 and earn that “Eight-Time” nickname? 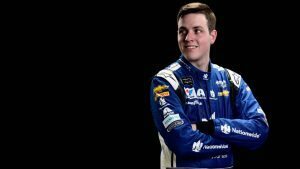 How will Alex Bowman fill in for the sport’s most popular driver? Chase Elliott, No. 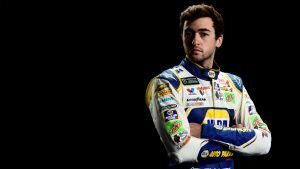 9 NAPA Auto Parts Chevrolet: Here we are in Chase Elliott’s third full-time season in the Monster Energy Series, and somehow the young driver still is searching for his first win at the top level. Prognosticators say this is the season when it happens, and the trend in statistics seem to support that belief. Elliott’s first two seasons saw verifiable improvement: He went from an average finish of 14.6 in 2016 to 12.0 in 2017. He had 17 top 10s in 2016, 21 top 10s in 2017; 10 top fives two seasons ago, and 12 top fives last season. Still, the big “zero” remains under the win column. But he’s returning to his familiar No. 9 — the number his father, Bill, drove for the majority of his Hall of Fame career — and showed more of an edge in both his driving and personality in the final races of the 2017 season. His first trip to Victory Lane almost certainly comes this season. William Byron, No. 24 Liberty University Chevrolet: A young hotshot with loads of potential in the No. 24? This sounds familiar. William Byron takes the wheel in his first Monster Energy Series season on the heels of an Xfinity Series championship in 2017. Byron has been dominant at every level in which he’s competed the last two years: Four wins, 22 top 10s and a championship last season in Xfinity; seven wins, 16 top 10s and a heartbreak ousting in the Camping World Truck Series Playoffs in 2016. Can he show the same flair at the sport’s highest level? Only time will tell, but it sure will be fun to watch. Jimmie Johnson, No. 48 Lowe’s Chevrolet: By Seven-Time standards, 2017 was a subpar year for Johnson. Granted, he still won three races, finished in the top 10 11 times and was only ousted from the NASCAR Playoffs in the Round of 8. But those totals also were among the lowest in his career. Johnson has only had fewer wins once (two in 2011) and has never had fewer top 10s over 16 years of full-time driving in the Monster Energy Series. He and crew chief Chad Knaus never quite figured out how to succeed in the new stage format — he had one stage win the entire season, and finished 10th in stage points in 2017 — and that will be a key to him succeeding as he strives for his record-setting eighth championship. Even though he’s now 42 years old, you still can’t count out the talented, experienced and crafty Johnson. Alex Bowman, No. 88 NationwideChevrolet: For a guy who team owner Rick Hendrick thought was named Alex Baldwin for a couple years, the 24-year-old Bowman is doing all right. First, he earned honor of taking over the No. 88 from Dale Earnhardt Jr. Then, he went out and earned the Daytona 500 pole. Bowman doesn’t have a ton of experience — one full season in the Xfinity Series (2013) when he tallied six top 10s — but that also means he doesn’t have excessive expectations. Still, that doesn’t mean he doesn’t have the talent to compete in his first full-time season at the Monster Energy Series level. In fill-in duty for the No. 88 in 2016, he won the pole in Phoenix and led 194 laps in that race before eventually finishing sixth. Time will tell whether all those fans with No. 88 gear will switch over to being Bowmanfans, too.